The surprise finalist Mikhail Kukushkin (Player Bio) will rue his missed chances in the Kremlin Cup 2013 title clash as he was ultimately edged out by 10th-ranked Richard Gasquet (Player Bio) in three sets. The top seed Frenchman thus lifted his milestone tenth ATP trophy – the third one this year –, whilst the Kazakh qualifier’s single title comes from Sankt Petersburg 2010 tournament. 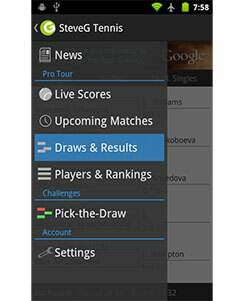 The match was characterized by tactical tennis with both players preferring to construct points from behind the baseline. They held their serves smoothly in the opener until 3-3 when the Kazakh created a couple of break points by employing a more aggressive approach which eventually paid off. The top seed was about to peg back right away as he went 30-40* up due to Kukushkin’s double fault, yet the latter solved the problem with two consecutive aces and a forehand winner to consolidate the break and pull 5-3 ahead. The Frenchman then rescued four set points in the subsequent service game before wasting three opportunities to make it 5-5 next. The underdog kept his nerves and prepared another set point by hitting the eighth ace and closed out the set with a touch of luck as his forehand shot bounced off the top of the net, making the ball unreachable for the rival. The favorite tried to take over the initiative in the following set and broke early on, but the competitors were equal again by 3-3. However, Gasquet took advantage of the Kazakh’s lack of concentration when the latter was serving to stay in the set and capitalized on his unforced errors to level the terms. Kukushkin’s first serves let him down in the second set as less than fifty percent of them were on target. A neck and neck race continued in the decider where Kukushkin seemed to have clinched a crucial break to make it 4-3, but missed several opportunities to confirm it in an exhausting 13-minute service game. 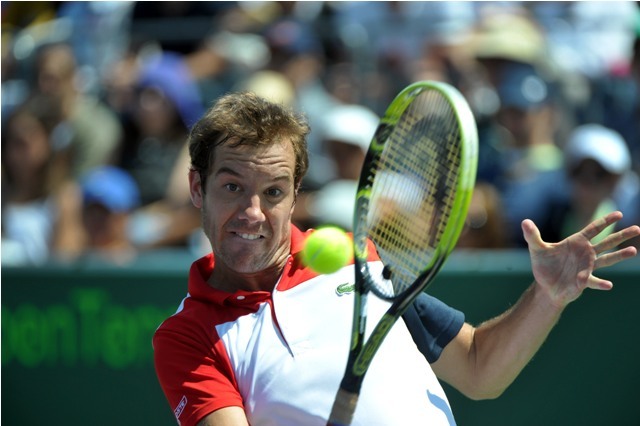 Gasquet then rushed to a love hold and piled up the pressure on the Kazakh who committed too many unforced errors to keep his title hopes alive. The Frenchman converted the first championship point to grab a narrow 4-6, 6-4, 6-4 victory after two hours and twenty-six minutes of hard-court tennis in Moscow and overtake countryman Jo-Wilfried Tsonga in the Emirates ATP Race to London.